Police confirmed men aged 36 and 39 will appear in court later after attack in Arbroath. Two people have been charged after a man was assaulted. 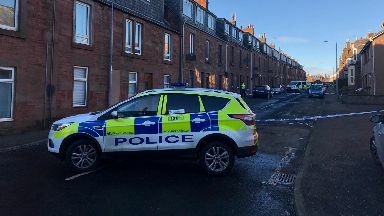 The man suffered leg injuries in the incident in Sidney Street, Arbroath, on Wednesday afternoon. Hours later, two men were arrested at an address in the town's Strathairlie Avenue. The men, aged 36 and 39, are due to appear at Forfar Sheriff Court later on Thursday. Police said: "Police Scotland can confirm that two men aged 36 and 39, who were arrested at an address in Strathairlie Avenue, Arbroath, yesterday evening, have been charged in relation to the serious assault earlier yesterday in Sidney Street, Arbroath. "They have been kept in custody and are due to appear at Forfar Sheriff Court. "Both incidents caused considerable disruption for local residents of those areas, and we would like to thank those affected for their patience and understanding while they incidents were dealt with."